or join us on a unique nocturnal kiwi-spotting tour and delight in the local Maori stories. ​of the first Maori peoples of Stewart Island. 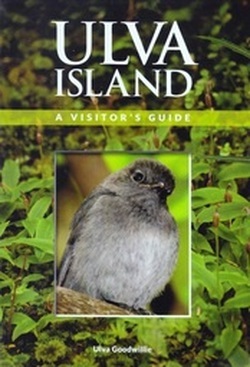 Explore Ulva Island with Ulva's Guided Walks one of the original bird watching companies on Stewart Island. Ulva's Guided Walks was established by Ulva Goodwillie in 2000, fulfilling a need for visitors to have a guide show them around Ulva Island Bird Sanctuary. Ulva Goodwillie was named after Ulva Island and is a direct descendant of the first Maori peoples of Stewart Island. She and her team of local guides are passionate and knowledgeable about this special place. Join them for a unique experience, learning about native flora and fauna, from a Maori and local Stewart Island perspective. Ulva's Guided Walks offer a range of bird watching and botanical experiences for you to enjoy, from a half day amble to a full day (or two days!) serious bird watching. See our Guided Walks page for more or use our live booking system if you're ready to book! Ulva's Guided Walks is fortunate to be one of only two sponsors on Stewart Island chosen to support Gadget, the rodent detector dog, so that she can help to keep Ulva Island free of introduced predators. Follow Detector Gadget on Facebook. We share Ulva Island with all kinds of amazing birds, wildlife and plants. A beautiful botanical forested garden alive with birdsong. So, it's all about discovering - the unique, rare and endangered birds and plants at close quarters. Exquisite seasonal orchids, native and endemic birdlife that will come too close for your camera lens. ALL photos on this website are copyrighted © Ulva's Guided Walks. No use or redistribution of any photo is allowed without our permission.